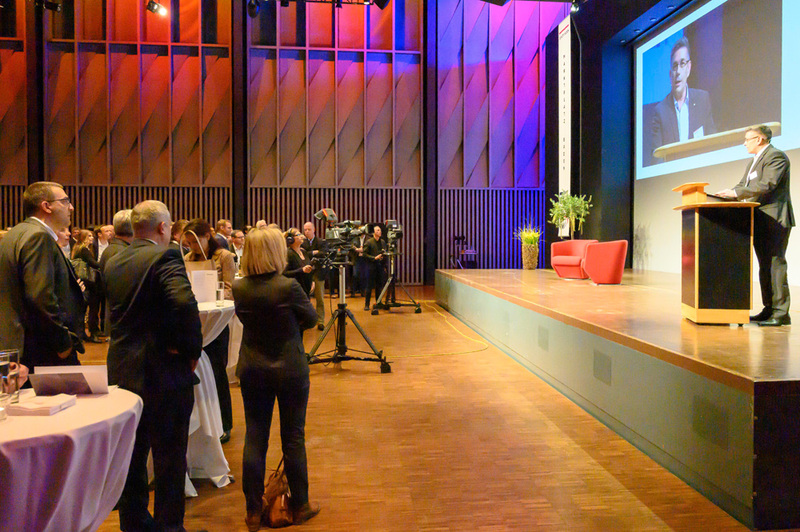 Every year, the city council invites all Baden-based companies to the Marktplatz Baden. 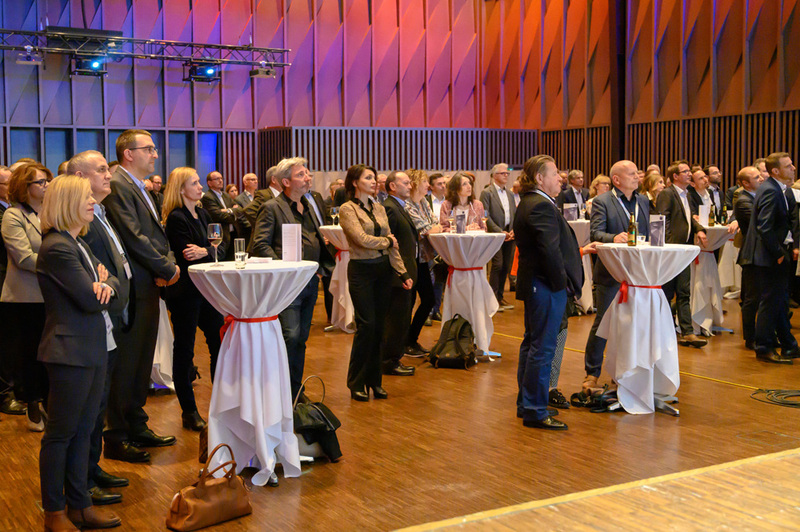 The networking platform for companies and the city council is held directly after the KMU SWISS Forum at Trafo Baden. 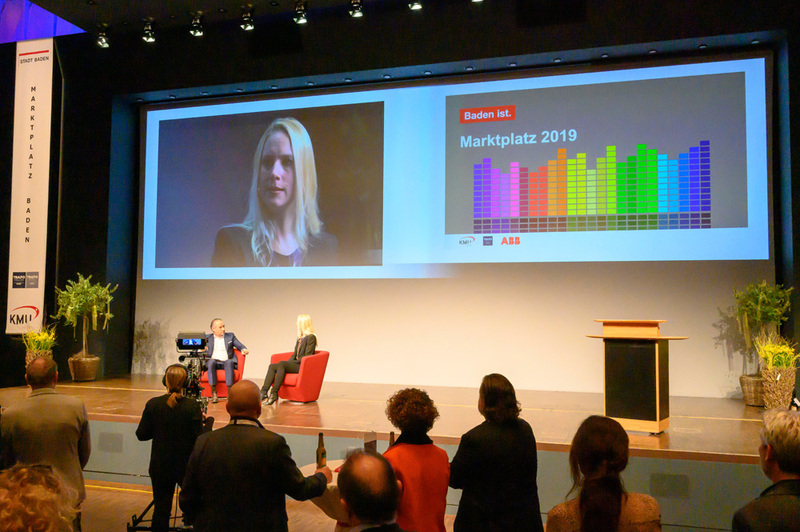 On Thursday 21st of March 2019 the city council welcomed about 350 entrepreneurs to the eleventh edition of Marktplatz Baden. 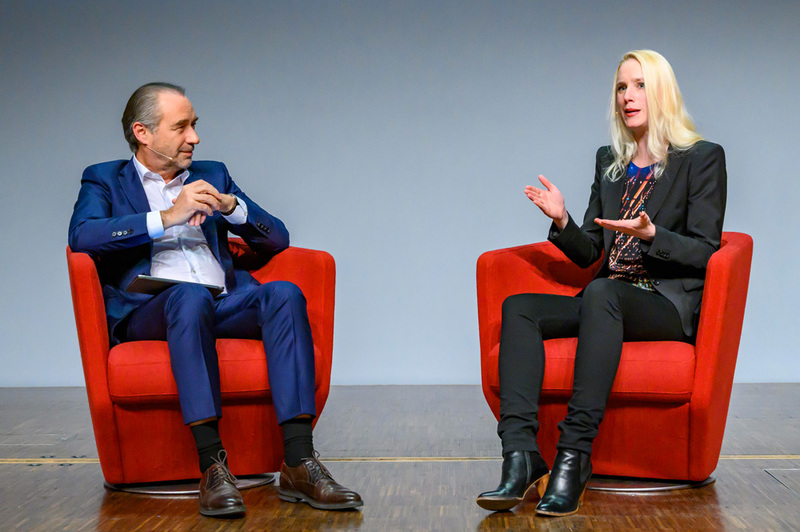 As a special guest Lena-Lisa Wüstendörfer, a well-known conductor, talked about digitalzation and automation as a challenge also for her profession. 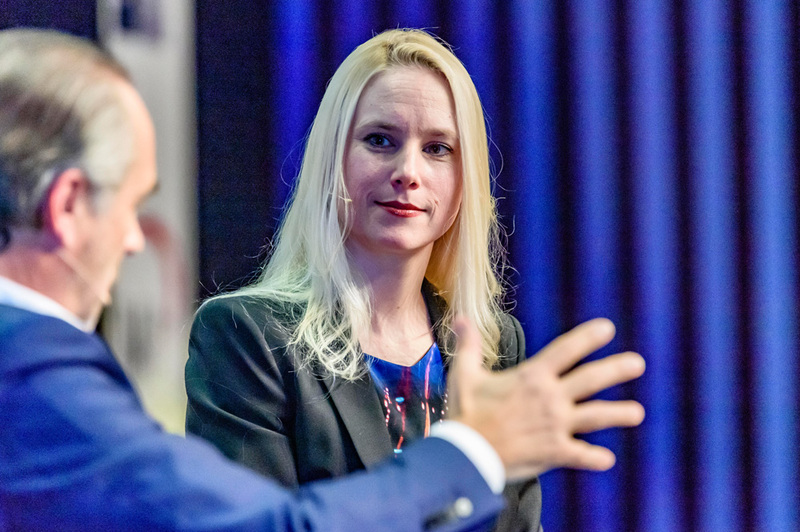 She threw interessting comparisons between the management of a company and leading an orchestra. The next event is taking place on 19th of March 2020. Further information will follow. 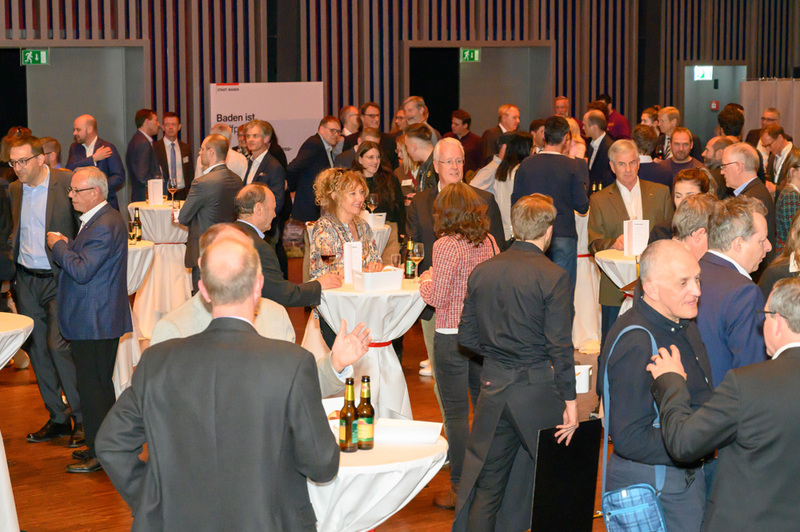 With the annual lunchtime event "Über den Tellerrand", Baden-based entrepreneurs receive valuable information for their business activities and the opportunity to extend their local network. 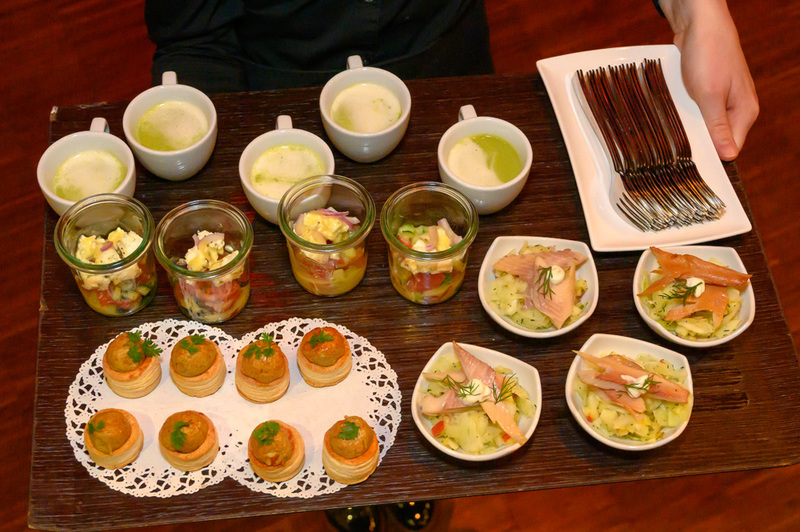 Furthermore the local host company provides an exciting insight into its field of activity. 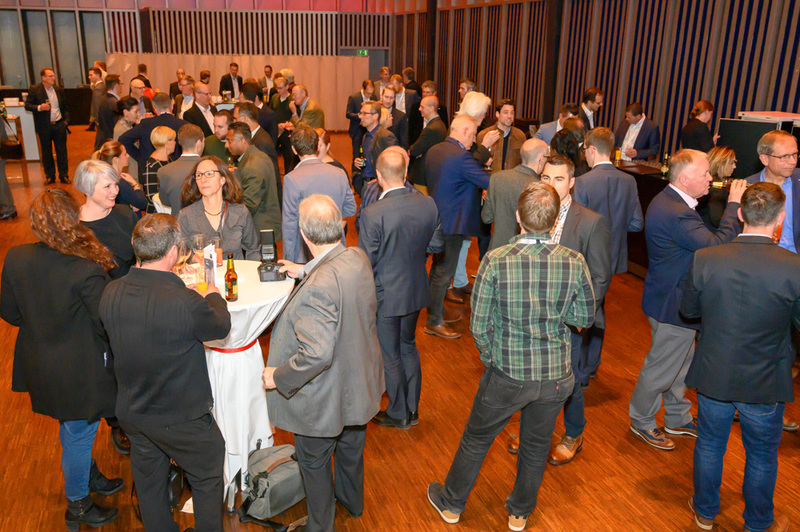 The last lunchtime networking event took place on Wednesday 24th of October 2018 at Varian in Dättwil. Varian Medical Systems with its headquarter in Silicon Valley is market leader in radiotherapy. The Dättwil site is a center of excellence for research and development and therefore at the forefront of the fight against cancer. 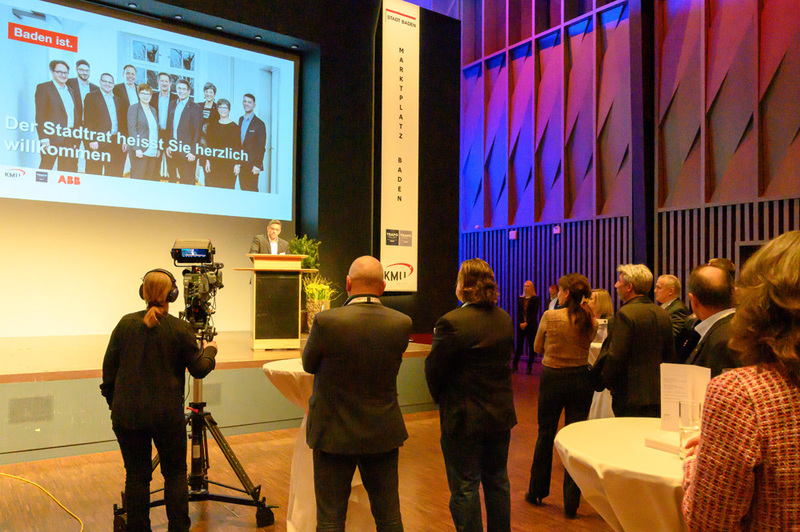 The Managing Director Thomas Keller explained on an interesting tour why the company has a strong connection to Baden. The next lunchtime event will take place on 24th of October 2019.